Kentucky Kingdom’s Kentucky Flyer wooden coaster is growing day by day, and the park has been documenting the construction regularly over the past few months. Below are just a few of my favorites. 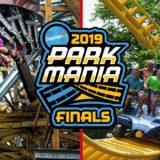 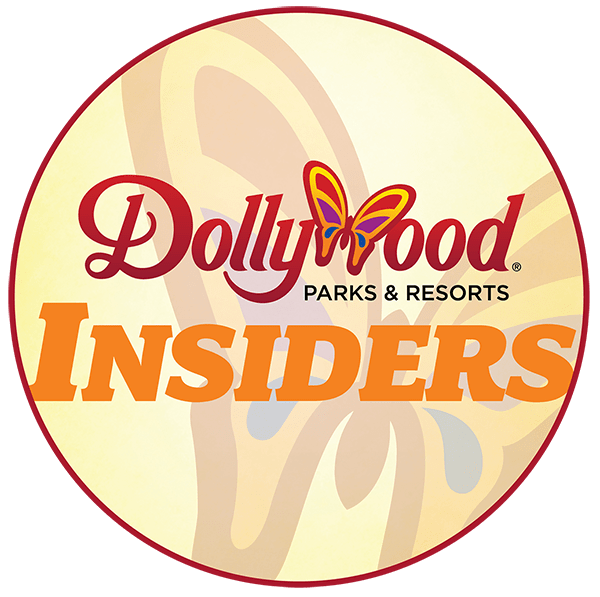 Kentucky Kingdom announced Kentucky Flyer in late September. The Gravity Group family-style wooden coaster will feature the company’s Timberliner trains and a family-friendly 40-inch height requirement. The park has done a great job posting regular updates from the construction site on its website and social channels. The coaster will offer riders 12 airtime moments. 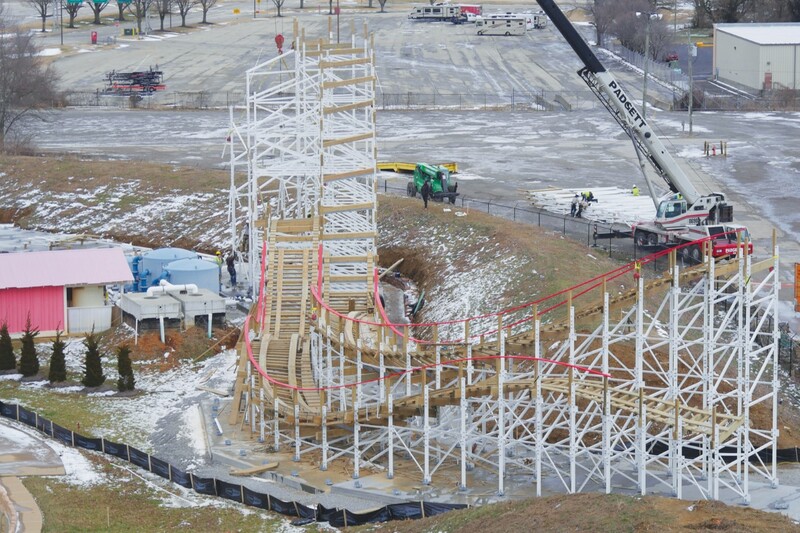 And after watching the POV and seeing the layout come to life, I believe it. While the coaster’s track is wood, its support structure is steel. 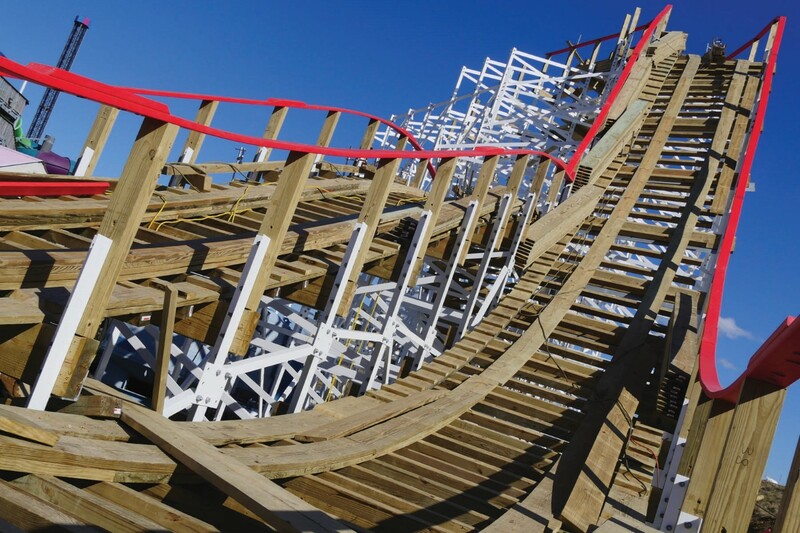 This hybrid construction is standard for Gravity Group coasters. 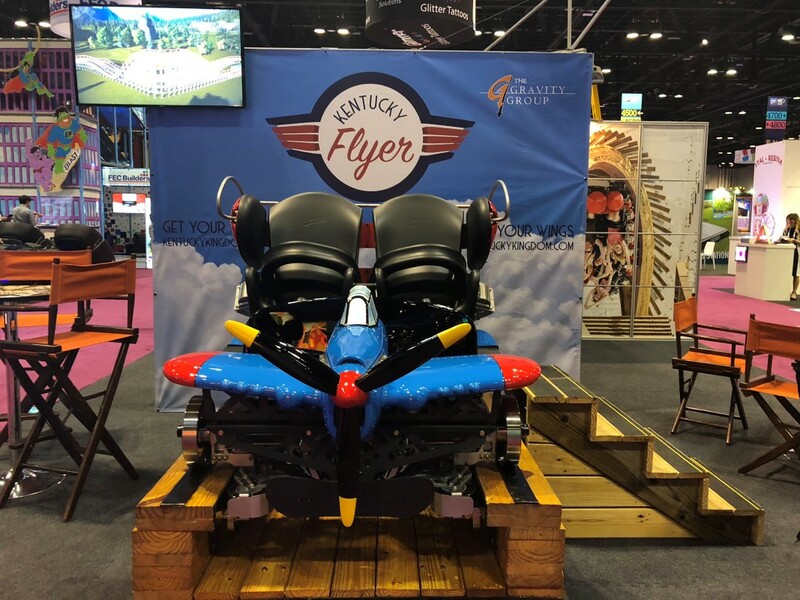 Situated behind the Hurricane Bay water park, Kentucky Flyer features an out-and-back layout with 1,280 feet of track. 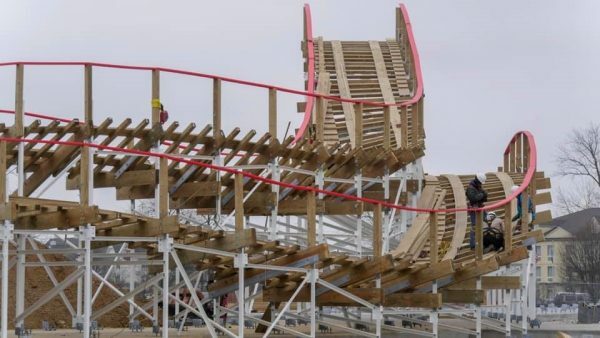 Even in the dead of winter and unfinished, Kentucky Flyer already gives Hurricane Bay a classic boardwalk-style wooden coaster backdrop. Summer can’t come soon enough. The white supports, unpainted track and red handrails are a throwback to those classic seaside coasters. And they also remind me of the many hours I spent playing the original Roller Coaster Tycoon. 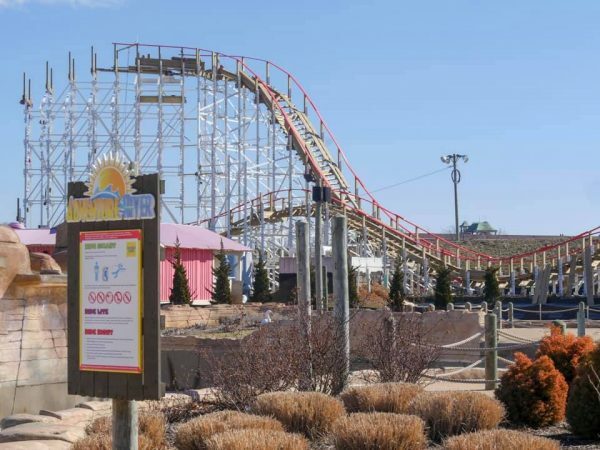 Crews are working in all sorts of conditions — freezing weather included, as indicated by the lingering snow on the ground. 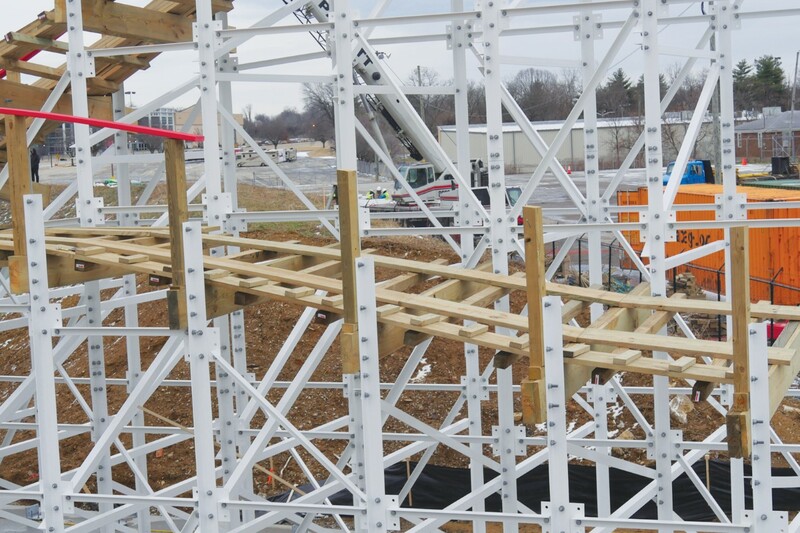 The coaster’s two 12-seat Timberliner trains will feature six cars, each seating two riders. 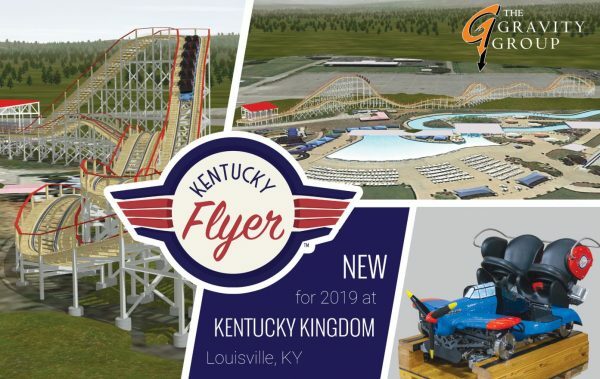 Kentucky Flyer is expected to open this spring. 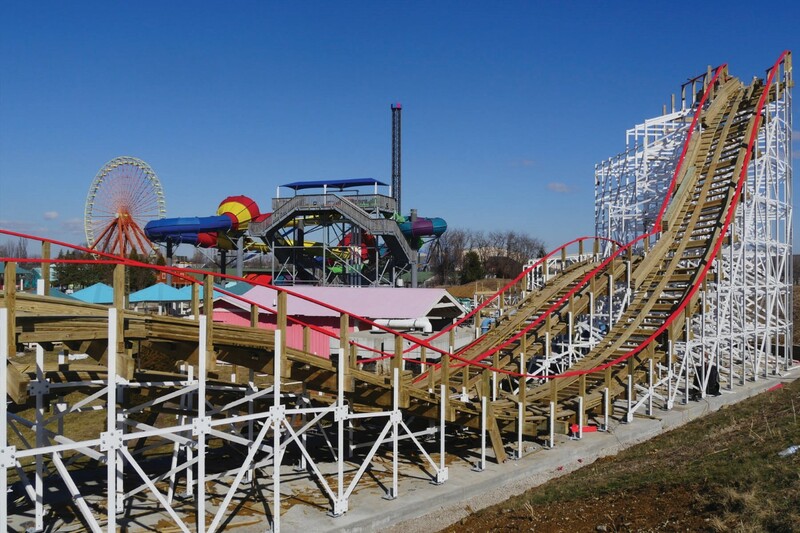 For more photos, visit Kentucky Kingdom’s website and Twitter for more photos and construction updates.